Although many prospective students who come into the school know a lot about Wing Chun from watching Ip Man or researching Bruce Lee, many know nothing about martial arts whatsoever. In fact, a common question we're asked is, "Do you accept beginners for training?" The answer is yes! Anyone with an open mind is always welcome to train with us. What's the significance of this? 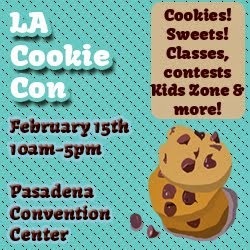 For those of you who don't live in Los Angeles, Beverly Hills and Culver City are at least 45 minutes or more away in traffic. (As I like to say, they might as well be on the moon, it takes so long to get to Burbank from there on the dreaded 405...) Even Sherman Oaks, only 10 minutes away without traffic, can easily be a 30-minute drive during rush hour. Anyone who has studied martial arts can attest that it's more important to find the right school and the right teacher than it is to merely find the most convenient option. Choosing a martial arts school is a short process for some (who just try a class and decide on the spot if they're comfortable with enrolling) and a rather lengthy process for others (like one of our students, Allan, who visited literally every kung fu school in the city doing trial classes and even trial months before returning to us having made his decision). Either way, there are several factors besides geographical location you should consider. For those who have never studied Wing Chun it can be very difficult to understand Wing Chun Kung Fu's sometimes difficult techniques and concepts. Some central concepts are the centerline theory, economy of motion, use of redirection/deflection instead of blocking, simultaneous attack and defense, and trapping. There's not enough time or space in this blog to fully explore all of these, although you can keep an eye out for posts about them in the future. 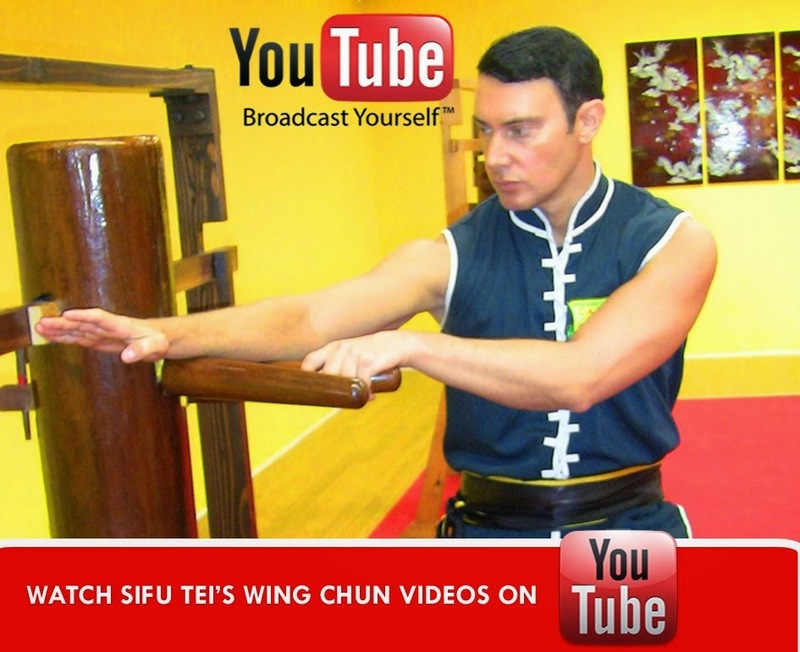 Our Chief Instructor Sifu Todd Shawn Tei has written several articles on these concepts including "Redirection is the Best Direction" and "Fighting with Wing Chun", featured in magazines such as Kung Fu Magazine, Blackbelt Magazine, etc. As you can see, adhering to the centerline theory ensures that Wing Chun practitioners do not waste energy (a.k.a. economy of motion), do not overextend themselves, and do not lose balance when attacking and defending themselves. Don't all of these things sound like sensible things to do during combat? Remember, MMA fights often go for several rounds, with the winner prevailing very often due to superior cardiovascular endurance or strength rather than due to superior techniques. There are also weight classes in MMA, a convenience not available to us in real life. Real-life fights rarely last longer than a few seconds, so there's no time or energy to waste, especially due to the strong possibility of multiple attackers. I don't want anyone to get the wrong idea though - we do help all of our students build better fitness and balance! We just don't use (in our opinion) impractical* techniques such as spinning back kicks during self-defense/combat because there are better options available to us through our Wing Chun training. *Note we didn't call more acrobatic/extended techniques ineffective. They're not ineffective; there's plenty of videos online of martial artists knocking out their opponents with spinning back kicks and the like. We're just saying that according to the concepts and theories of our style, there are more practical and efficient options available. No offense intended to anyone who studies something different. In the video, which has since gone viral and become a YouTube sensation, a bully (the smaller kid) approaches his victim (the larger kid) and says something demeaning/threatening. The victim (since identified as Casey Heynes, a longtime bullying victim) just stands there as his bully grabs his collar and punches him in the face. As one kid with a camera phone and two bystanders watch, the bully grabs him and punches him again, but this time is blocked. The victim's back is literally against the wall, but even having been punched twice, he does nothing to defend himself. The bully invades his victim's personal space again and attempts not one, not two, but FIVE punches to his victim's stomach. At the fifth punch, the victim snaps. He grabs the bully. The bully tries to get away, but the victim lifts him and body slams him to the ground. (The bully is apparently fine and did not sustain any serious injuries, thankfully.) Both of the boys were later suspended. 1) Casey has apparently been a victim of bullies all his school life. Why hasn't someone enrolled this child in martial arts? In a qualified martial arts program Casey would have learned never to allow bullies to intimidate him or lay their hands on him. 18 seconds elapsed between the bully grabbing Casey and Casey fighting back. That's 17 seconds too many. Casey should have pushed the bully's hands off of him the second the bully grabbed him. If he had done that accompanied by a confident "Leave me alone or I will defend myself and you might get hurt" (or something of that nature, of course, that's a mouthful for most kids in high-pressure situations) the bully probably would have moved on to an easier target. 2) This video dispels the myth that martial arts is mainly for short and medium-statured kids. (We actually recently had a mother tell us her teenage son, who was only about 5'10, was too tall to participate in our class. Nevermind that our adult/teen students range in height from 4'11 to 6'9, right? It's such a silly myth but it refuses to die.) Kids of all shapes and sizes get bullied. Bullies pick their targets based on emotional weaknesses such as low self-esteem, not based on who looks physically easy to pick on. 3) In our program we teach our children what level of force is appropriate in different situations. For example, if I show them a self-defense technique, I will say, "Is this for use against a kidnapper or a playground bully?" Again, if Casey had been enrolled in martial arts, he hopefully would have learned safer anti-bullying techniques than a potentially paralyzing body-slam. Without this knowledge, he was forced to react the only way he knew how, and that's no one's fault but that of the adults who failed to equip him with better tools. 4) The kids who watched and laughed as the smaller kid struck his victim should be punished for not finding a teacher to defuse the situation. The "cameraman" should also be punished. These kids' lack of empathy and morality is disgusting. I assume that Casey is not enrolled in martial arts (or at least not a qualified program) so I do not fault him for what he did. He reacted as any child would react after years of bullying and humiliation. I am however very grateful that this situation ended with relatively little harm done other than a skinned knee. And, of course, I hope the bully learned his lesson, too. One of our adult students, Jen, has requested we blog about the role that sensitivity plays in chi sau/chi sao and the purpose of blindfolded chi sau play. Please note that this post refers to and quotes Ip Chun's "Wing Chun Martial Arts" book in several places. The clip depicts a blindfolded Wing Chun Sifu demonstrating chi sau on his student atop the Great Wall of China. First of all, it's important to understand that while chi sau is integral to Wing Chun training, it cannot stand alone in the place of sparring for combat or self-defense practice. However, without chi sau, you cannot practice Wing Chun, because it is largely through chi sau that Wing Chun skills are developed. It's difficult to overstate the importance of chi sau in Wing Chun. 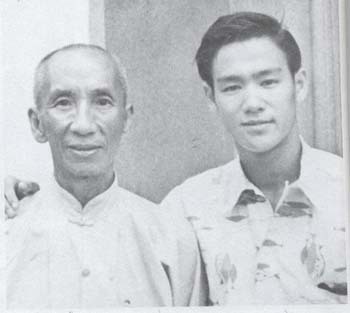 In fact, Ip Chun (Ip Man's eldest son) has written that chi sau is the "most important factor" in judging one's Wing Chun ability, and is the "bridge between forms and free fighting." So back to the Human Weapon clip. Why is the Sifu blindfolded? 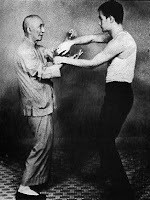 Chi sau helps develop many aspects of one's Wing Chun, chief among them sensitivity and reflexes. Practicing blindfolded forces us to rely on our sense of touch and our intuition rather than our sense of sight. Research shows that Blind People Sense Touch Faster. By practicing blindfolded, Wing Chun practitioners harness the oft-ignored sense of touch, so that when their eyes are open they can rely on two senses instead of just one for their close-range hand techniques and trapping. As any higher-level Wing Chun practitioner knows, two senses are better than one. Did you think that Ip Man 2 was Sammo Hung's first Wing Chun movie? 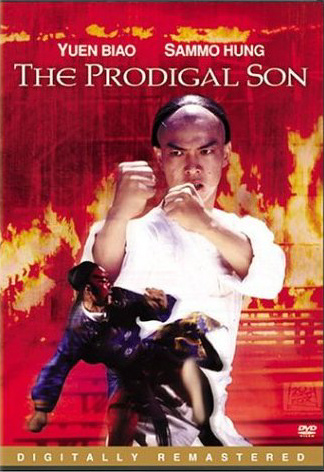 Actually... in 1981, "THE PRODIGAL SON" took its rightful place as (arguably) the "best" Wing Chun movie ever released. It would take more than a quarter century for Ip Man (2008) to dethrone it. Of course, that's just our two cents on the subject. Anyhow, The Prodigal Son is still an excellent movie, and we wholeheartedly recommend it to everyone! In it, Sammo Hung stars as Wong Wah Bo - a real person from Wing Chun history. He also directed the film. The fight choreography is truly spectacular. Best of all, it's a very funny film, although some serious themes are touched upon. We don't sell this particular movie at our school, but you can find it on Amazon... if you're willing to shell out around $45, that is. Rumors abound of a version available for $10 but we haven't seen it yet. There also appear to be a few for sale for around $20 plus shipping. You might have better luck on eBay. Good luck getting your hands on a copy - it'll be worth it! At the end of Ip Man 2, a small, arrogant child walks in and says he wants to learn kung fu. Ip Man laughs and tells him to come back when he's older. The child leaves, but not before telling everyone his name: Bruce Lee! That's right. 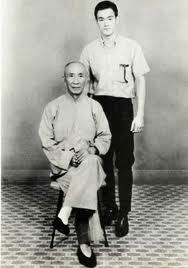 Bruce Lee was one of Ip Man's students. 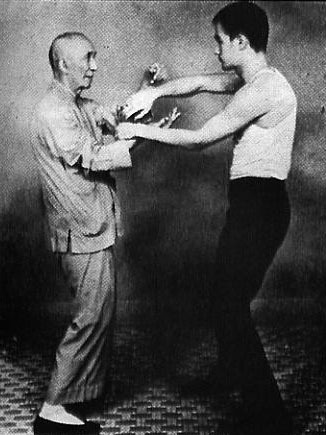 In fact, Ip Man was Bruce Lee's only formal martial arts teacher. Although Bruce Lee would later go on to develop the concept called "Jeet Kune Do", this concept was not meant to be a new style for people to learn in lieu of other pre-existing styles such as Wing Chun. Rather, Jeet Kune Do was intended to be a way of thinking and training for maximum efficiency and improvement. Much has been said about why American children are becoming overweight and obese in frighteningly large numbers. The simple version of the answer is two-fold: 1) kids aren't getting enough exercise and 2) kids aren't eating the right foods. Obviously, ensuring your child exercises regularly will result in many short-term benefits such as improved mood, focus and sleep cycles, a healthy weight, etc. However, not enough parents are aware of the long-term benefits of exercise. Children who participate in regular high-impact exercise are less likely to develop osteoporosis as adults. Exercise in childhood also lessens the risk of diabetes and/or obesity later in life. Just as parents have a responsibility to send their children to school to prepare them for the academic and career challenges they'll face as adults, they also have a responsibility to ensure their children are fit and healthy so they can avoid unnecessary health problems later in life. Fitness is one of the 9 life skills we teach at our school. Kung Fu is an excellent source of exercise for all ages.